Run at least 26.2 miles for the West side to get your badge. And, yeah, you can run it on their turf. Win so you can brag. Nevermind the humble. If you think West is best, and want to show those inlanders who really runs this town, join team West and get out there. Make those Santa Monica pier and Venice beach runs count for your side and be the team to bring home $2K for Students Run LA. Let's go. 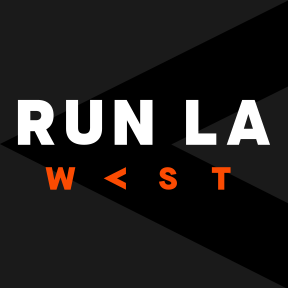 Watch the Run LA leaderboard to see who's in the lead. Let your trophy case do the bragging. Run at least 26.2 miles between February 11 and March 11, 2019 to complete the challenge.